I am so in love with these stones. 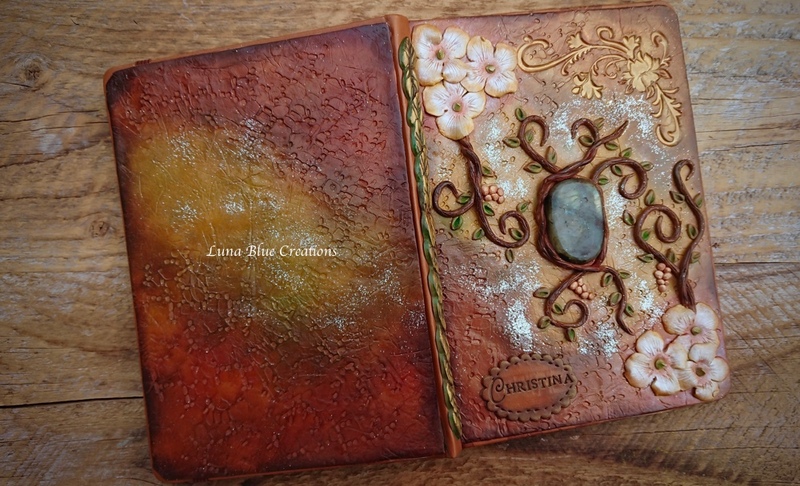 Aside, from having healing properties it also creates a beautiful accent on journal covers. 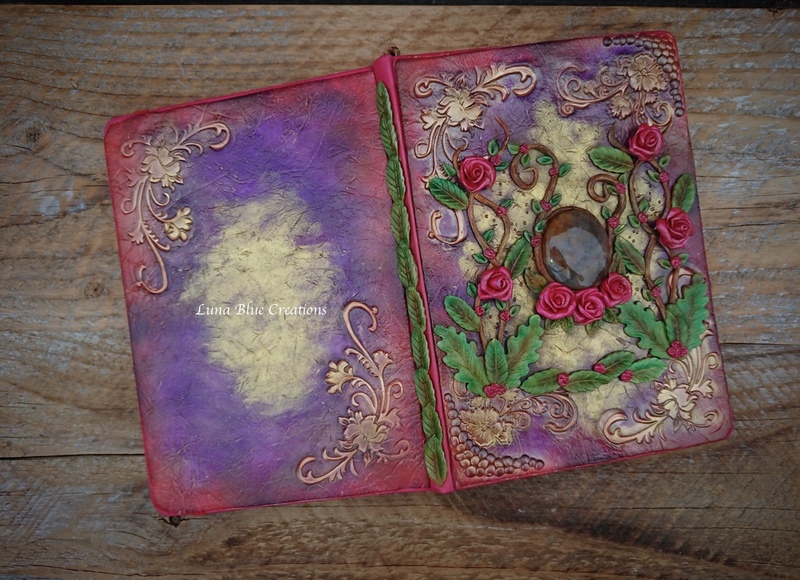 I have made several journals with stones and will definitely be making more other designs. This journal has green calcite. Calcite, particularly the green Calcite has calming properties. It removes any stagnant energy in your home. It is also a powerful energy amplifier and cleanser. It also restores balance to the body, mind and spirit. 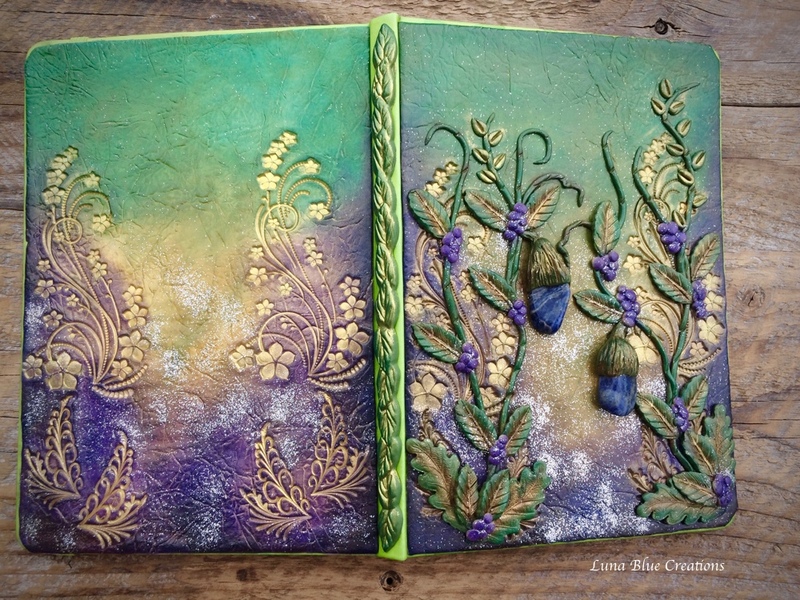 I love how this journal turned out to be very vibrant and fun. It has a beautiful jasper cabochon. Jasper stone healing properties are very beneficial for grounding, stability and strength. This particular journal is with sodalite. The overall design of this journal is very pleasing to the eyes. I love how the greens and the purple goes together. Sodalite is a beautiful bluish stone with great healing properties. It stimulates the pituitary gland, which opens up your spiritual perception. The stone releases tension and fears, the negative emotions that Sodalite helps to transform into feelings of harmony and balance, the gateway to enlightenment. Simple yet elegant and enchanting. This is how I describe this journal. It has beautiful labradorite stone. Labradorite is known as stone of magic. It is excellent in strengthening intuition and it is also helpfulcompanion through change, imparting strength and perseverance. 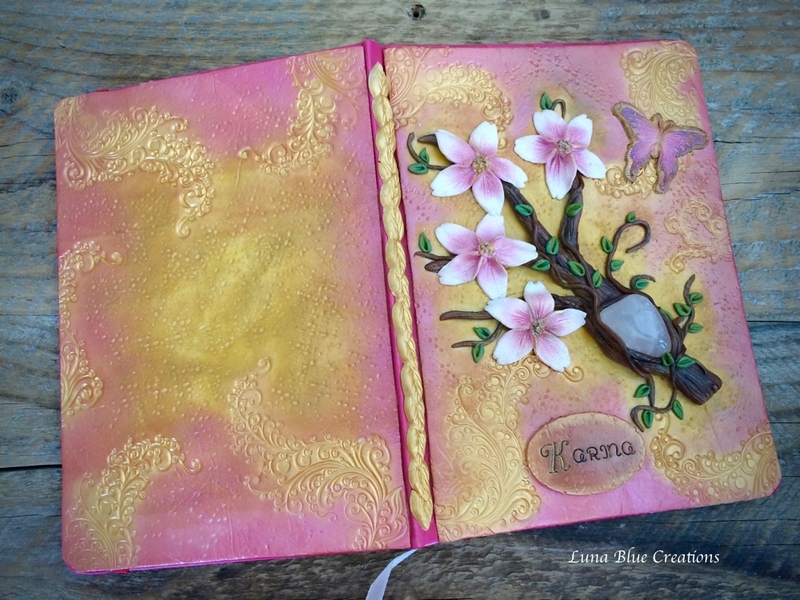 This divine journal is with rose quartz. Rose quartz a stone for every type of love: self-love, family, platonic, romantic, and unconditional. 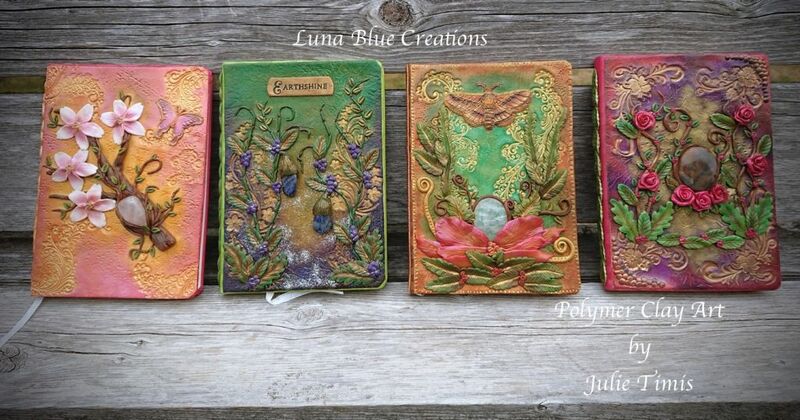 These journals are truly unique. 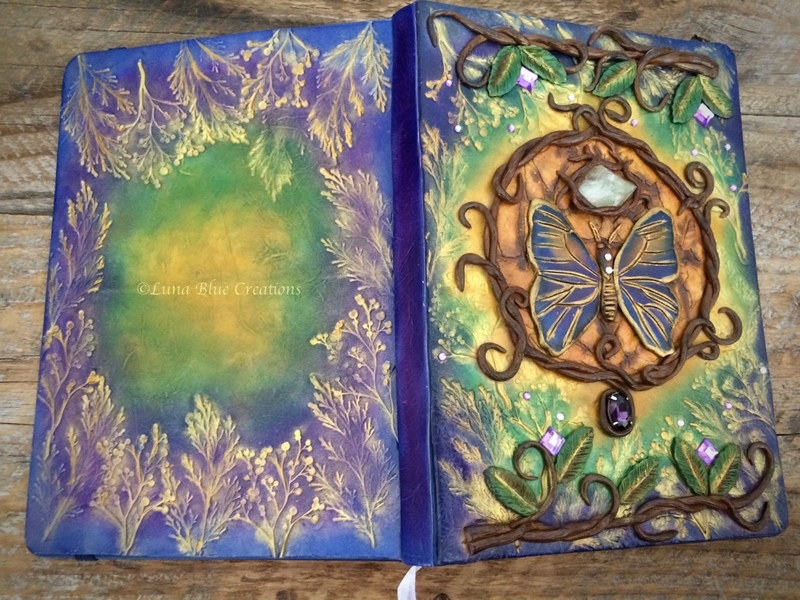 It is part of my stone collection journals. It is also available for purchase in my website shop and etsy shop.